Eworks Manager has a built-in purchase ordering section that integrates into the rest of our system. Gone are the days of using a separate purchase order software and then copying all your information into multiple systems. Our integrated online quoting system and job management system are twinned seamlessly to our purchase orders, making your job easier. You can now create all your purchase orders by just a click of a button when you have either had a quote approved, started a job or even at invoice stage. 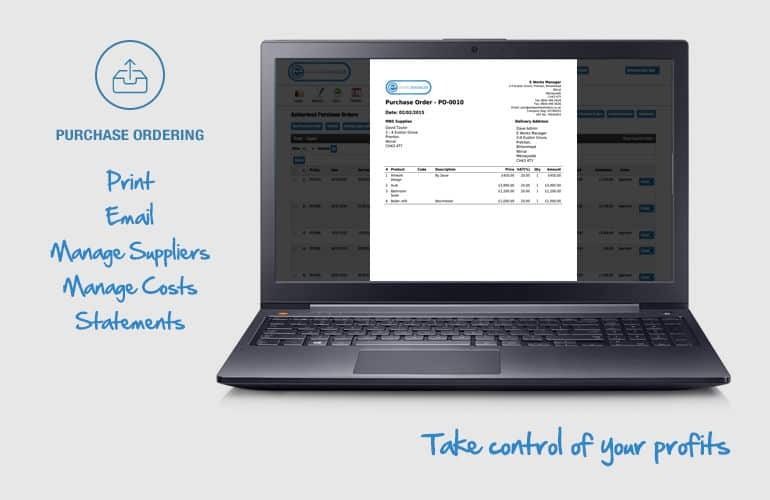 Our easy to use online Purchase Order Software had taken controlling your business to a new user-friendly level. Eworks Manager is a software solution that is committed to providing user-friendly solutions and helping businesses around the world become more efficient and profitable.